If you follow me on Instagram, you might recently have seen a post about a massive change in my circumstances this year. We now have a daughter. Actually, we have had a daughter for a while but just chose not to say anything about it. I lead a very public life and really enjoy sharing what I’m doing with people around the world. The dialogue I have with friends and followers here on Bikes n’ Stuff, on my Youtube channel and across the various forms of social media that I use make me feel part of something really awesome – a global community that is largely friendly, warm, fun and supportive. I enjoy being frank and honest with people, sending tips and advice back and forth and giving people a realistic idea of what it takes to do what I do. My Instagram account is 100% real but of course it shows the edited highlights of my life rather than the boring, the tedious or simply stuff I don’t feel like talking about. So my posts didn’t reveal fact that in between training and racing we were doing rounds of IVF and then going through the incredibly complex, invasive and stressful adoption process for a further year. When things finally did work out and our wonderful daughter came home with us I was unsure about whether I wanted to tell anyone outside of our immediate family and friendship circle. I never lied but was just noncommittal, like she’d always been there! But then lots of questions were asked that I was unable to answer. These questions were delivered across multiple social media platforms, through direct messages and via friends and acquaintances across the globe. Some people who knew what had happened called and asked me what they should say next time the subject arose. Dave and I had a long think. Eventually, we decided not to continue hiding something (someone) that has had such an enormous impact on our lives. I started to feel uncomfortable hiding the fact we’d built our family in a non-traditional way – I wanted that to be an amazing thing rather than some kind of secret we squirrelled away. I realised I didn’t want adopted children and children from non-traditional families to be any less celebrated than other children. I felt that opening up a dialogue about adoption, something that’s rarely discussed could (even in a tiny way) help adopted children and parents feel less isolated or ‘different.’ Things that are never discussed or shared can almost self-perpetuate the idea that they’re tricky or uncomfortable subjects. I don’t want adopted children to feel that they’re different to other children, that the family lineage should be hidden. I hoped that in being open about infertility and adoption I could help people feel less alone, more comfortable talking about their struggles and get this issue that affects so many people a bit more out the open; a little like with the new conversations we are having around mental health, which is losing its stigma now people are less scared to talk about it. The response that I got when I shared our story was totally overwhelming. I received hundreds of messages and wonderful comments from people, all of them so happy for my family and I. I also received a lot of messages from people in similar situations – people struggling to conceive, struggling with the adoption process or finding it hard to keep their head above water in tough times. I’m so glad that I decided to shout about how proud I am of our story rather than keep the whole thing in the shadows. So life is not easy; far from it. But life is amazing, rewarding and delightful. Like they say, the best things are worth fighting for and stuff feels that much sweeter when you’ve sweated hard to achieve it. It feels to me like our little girl is the ultimate reward for the tough years we faced together. So here’s big ‘yay’ for family life and a high five to all the mammas, daddys and soon to be parents! Me and my wife also went through different round of IVF, so we kind of know some of the trouble you went trough. We tried to be as open to the people around us as possible, but it was never easy. We finally had a successful IVF, so we are now waiting for our child to be born. Keep on telling everybody that there should be no stigma about infertility or adoption! Ah, that’s lovely. We are trying to enjoy every minute… even the challenging ones. It’s a fabulous thing you have done. There are plenty of children in care homes and with foster parents that through no fault of their own are in this position. Due to people like yourselves they now have loving parents. You should be very proud indeed..
That’s lovely Juliet, we’ve got two children (daughters) through IVF when it was discovered that we had circumstances that forced us to embrace infertility. Children can bring so much of so many different emotions and training, although fantastic, is taking a back seat in our lives at the mo as we raise a 3 year old (feisty girl) and a 2 month old who will probably be just as feisty! Good luck to you and your family unit. So happy that worked for you. Having two must be so exhausting though of course, wonderful! I’ve found it hard to train as much as I did before but that really doesn’t matter, what matters is that I do enough to keep myself feeling good. Thank you and Happy Christmas! Thanks for being this honest! You two made a right decision, from my point of view. Wish your family the very best. Further I believe, as you suggest, that this will raise a topic which have to be depated. Not for the sake of talking but for the future of many other children. Feel compfy and go on. A winners jersey of another type needed there. Kudos, and enjoy a really Christmassy family time! Thanks Dave, Merry Christmas to you too! Chapeau to both of you. I think you have struck the right balance here – talking openly about your daughter without throwing her completely into the social media spotlight. Brilliant post 👍🙂 you obviously both love your daughter and I’m sure she’ll feel really special. I’m also adopted but slightly older than your daughter 😂😂 …. She is the best, we are so lucky! Thanks for sharing. I’m so happy for the three of you, and really grateful for you sharing your story. My partner and I are going through IVF at the moment, and seeing how happy you all are is so nice to see. Thank you for giving us and others hope, but also bringing the subject into the open. You’re welcome, I’m glad it’s of help to talk about it. Wishing you lots of luck with it. Stay strong!! You will see its getting better and better, Just enjoy it every single Day! Blimey O’Riley just when I thought you couldn’t get more cool, awesome and gnarly. Firstly I’ve been following you on Instagram for a while and watched your YouTube Vid for the Specialised Diverge where you mentioned you used to be a Pro snowboarder, ooo I thought she’s sooo much cooler than I realised (I also snowboard but haven’t been for a few years but we’ll get into that in a mo) and then I came across this post where you talk about adoption. 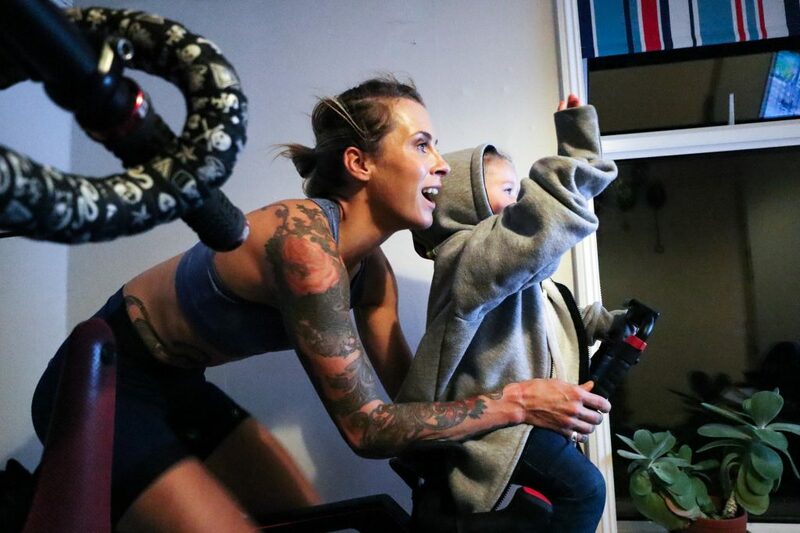 Well the reason I’ve not been snowboarding or cycling as much as I should was due to going through the adoption process myself… Now the photo’s of your little girl make so much more sense 😉 my little boy has been with me for just over a year and it’s been the most amazing, rewarding and scary 12 months. I just wanted to say you rock, keep up the great work and hug that muchkin and show her how much her forever mummy and daddy love her. We’ve just had the adoption order come through so we’re hoping to get a passport ASAP so we can hopefully catch a little slushy snow fun this year but there’s always PreSeason…. Ah no way, so awesome to hear that you’ve successfully navigated that tough journey, it’s so hard but so worthwhile. Glad to hear that you’re so happy. We are too. Life couldn’t be better!